ModFire is custom handcrafted out of thick darkened natural fourteen gauge steel and either unfinished or colorfully coated in glossy high-temp paint offered in blue, red, and orange, with avocado and yellow debuting this spring. 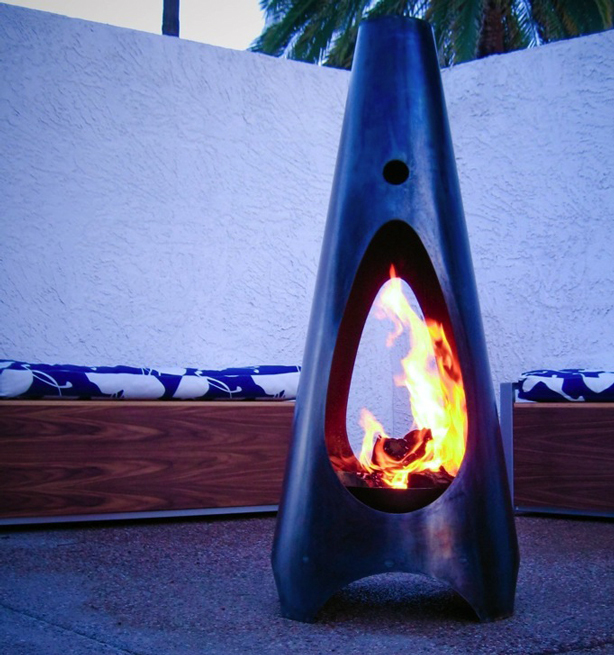 At 48” tall and 22″ wide, ModFire creates a dramatic focal point and makes a beautiful design statement on your patio. ModFire’s vented dual-wall construction safely contains the fire while keeping the outer skin cool. 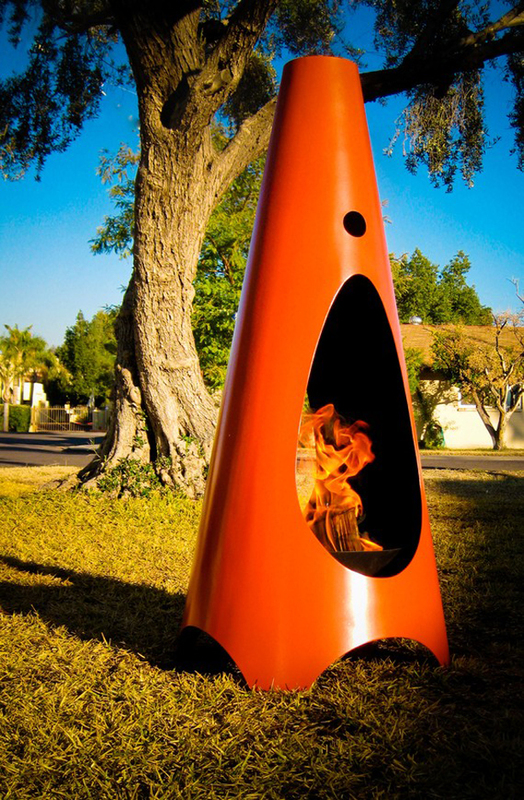 The design incorporates the colorful coated outer skin, a black coated inner skin with high temperature paint, and a hand hammered 14” fire-bowl for burning your favorite wood or composite fire-logs, though Williams recommends burning “chiminea chunks” (available at your local firewood supplier) for the perfect fire. Also available: A 12″ propane burner kit including 15 pounds of lava rock. Each of the ModFires is handmade to order and arrive completely assembled, typically in 2 weeks from the designer’s downtown Phoenix, Arizona studio.